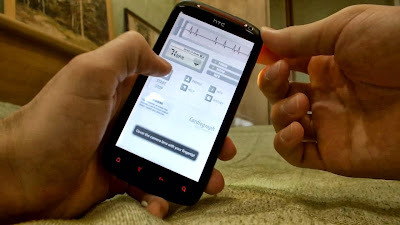 Cardiograph is a personal heart rate meter which measure your heart rate, you can see your heart beats rate in your phone by just clicking start button. 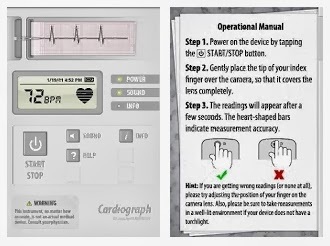 Cardiograph measure your heart beats by using your phone inbuilt camera to take a picture of your fingertip and calculates your hearts rhythm. 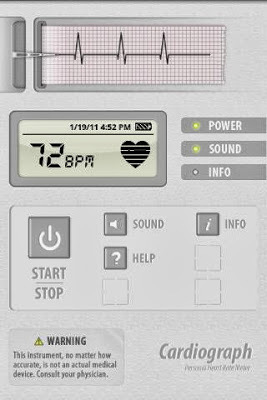 Cardiograph allows multiple users to record and save their heart beats rate in their profiles for future reference. It work highlights its fail to perform in low light. Its a free application for android smartphone and iPhone you can download and install this application from Google play store. (download link given below). 2. It is free and work like a medical equipment. 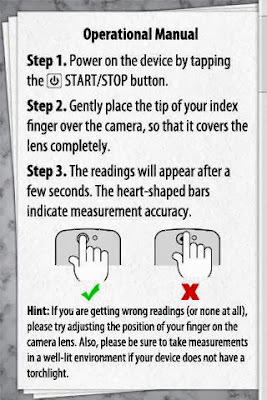 camera be sure its completely cover camera lens. move your phone in light area. 4. 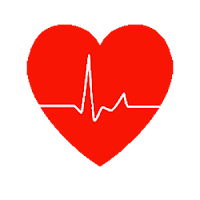 Your heart beats rate reading will display after few seconds. 5. You can create your personal profile by clicking on "Profile"
"New profile" and enter your name. 6. After finish tap on "Start/Stop" button. 7. Your heart rate will be save in your profile.